After school the kiddies have Yoga, they are really enjoying it. Noah had a bit of a battle over the fact he was a boy at first, but after a few weeks he’s realised it’s not just for girls. Daddy does it after all! I wish I had Yoga clubs when I was younger. Great idea. 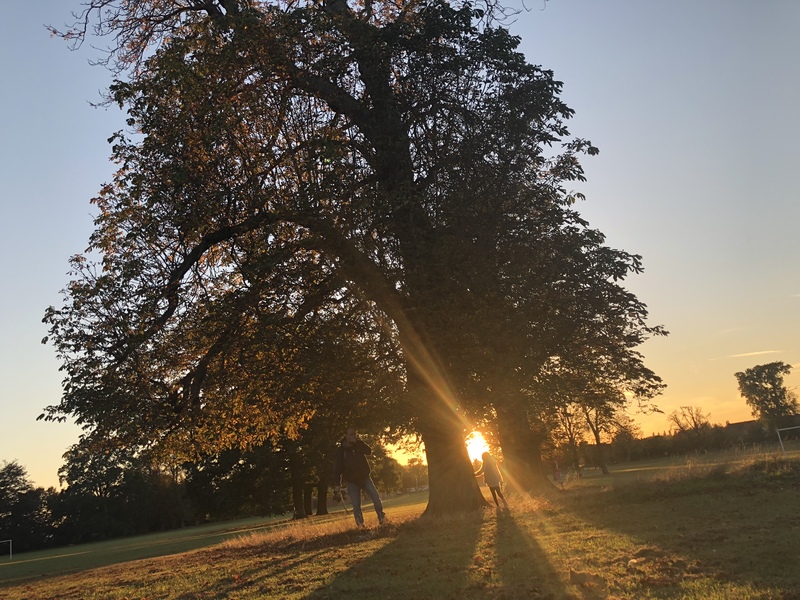 We then went to the park where Isla and Grandad searched for Conkers, they must have found about 50 – whilst I took photos of the sunset. It did look beautiful.